It’s beginning to look a lot like Christmas. Well, on my drawing board, anyway. I’m working on a very special book for Paper Studio Press to be ready for the holiday season. “Merry Movie Christmas” will celebrate nine Christmas movies with paper dolls of 12 characters from “It’s A Wonderful Life,” “Meet Me in St. Louis,” “Elf,” “White Christmas,” “Miracle on 34th Street,” “Home Alone,” “Holiday Affair,” “A Christmas Story” and “National Lampoon’s Christmas Vacation.” Following are the familiar faces of the paper dolls. Can you identify them? The vast Red Carpet was as crowded as an L.A. freeway jammed with more diverse fashion than there are stars in heaven. It was mostly good with a few clinkers to liven things up a little. Worst of the night was Salma Hayek in a trendy Gucci hot mess of pink pailettes draped with heavy rhinestones. The black dress solidarity of the recent Golden Globes affair was swept away by any color BUT black! Lots of white, although it sometimes looked a bit bridal at times. There was color but no color message. Some vivid color, some pale and a few deep shades. Red, orange, pink, purple, blue, yellow and more. Metallic textile treatments added a bit of the ol’ razzle bedazzlement. Necklines often took the plunge but that’s certainly old news. 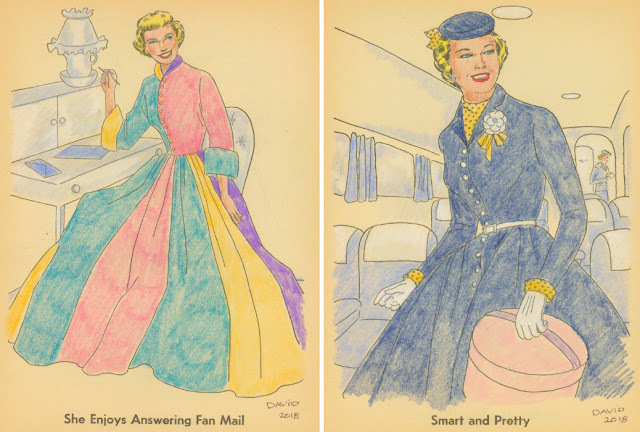 Trains were less prevalent this time ‘round, and there were a few massive full skirts that demonstrated how today’s women don’t know how to move gracefully rather than lumbering along struggling to control yards and yards of material. 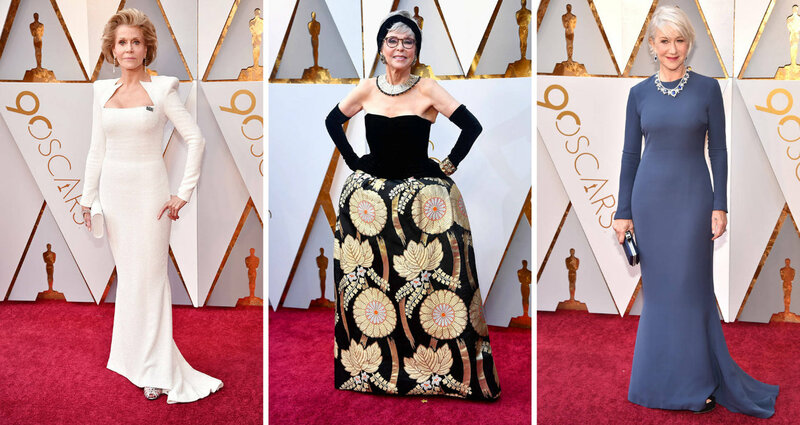 My fashion favorites were Jane Fonda and Helen Mirren, not quite as old as Oscar, but authentic golden girls with stellar glamour galore. 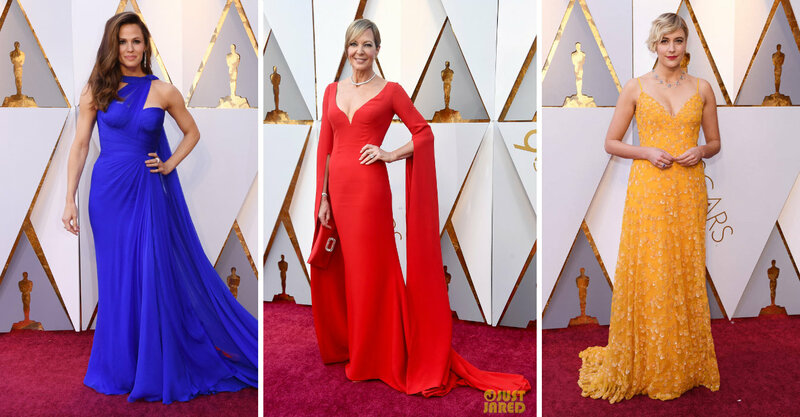 Not-black but positive primary brights on Jennifer Garner, Allison Janney and Greta Gerwig. Metallic eye-catchers on Gal Gadot, Jennifer Lawrence and Lupita Nyong’o. 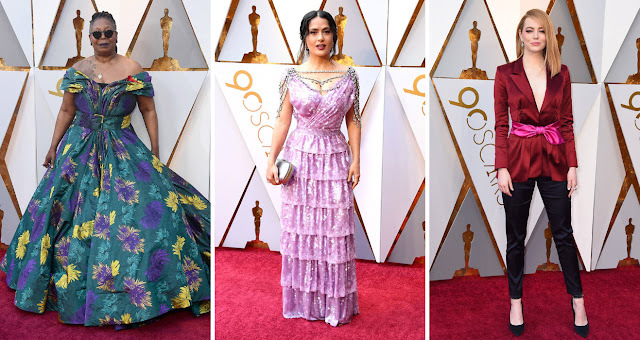 Fashion clinkers on Whoopi Goldberg, Salma Hayek and Emma Stone. Age is just a number for Jane Fonda, Rita Moreno and Helen Mirren. 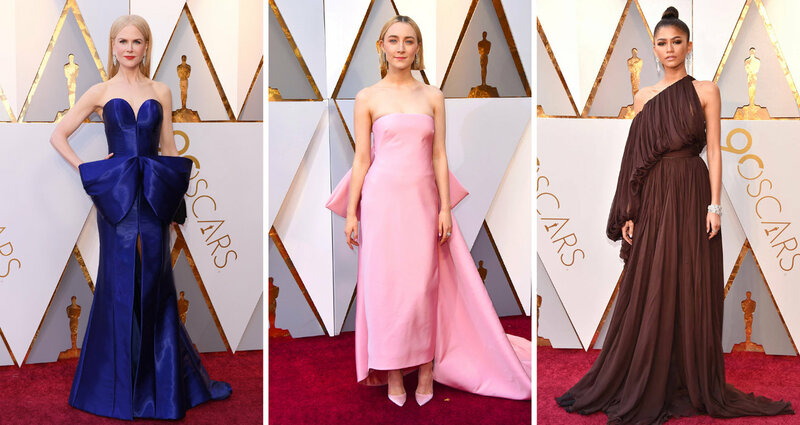 The height of fashion on Nicole Kidman, Saoirse Ronan and Zendaya. Always-right white worn by Laura Dern, Margot Robbie and Mira Sorvino. Norman Norell’s importance in fashion has not been given the recognition that his role warrants. He elevated high-end ready-to-wear to a level of perfection previously limited to Paris Haute Couture. The current exhibition covers the last 12 years of Norell’s career from 1960 to 1972, a tribute to a major talent and history-making designer who set a new standard of elegance and craftsmanship. The most interesting item in the breath-taking exhibition is a garment displayed inside-out, revealing the complex inner couture construction. The trends set by Norell are duly displayed. They include the sequined “mermaid” gowns, the sailor style, menswear fabrics, jersey and the retro-reinterpretation of the 1920s. Norman Norell was never a celebrity persona but he was an influential game-changer, elevating American fashion standards to couture level. The FIT Museum exhibition closes April 14th. 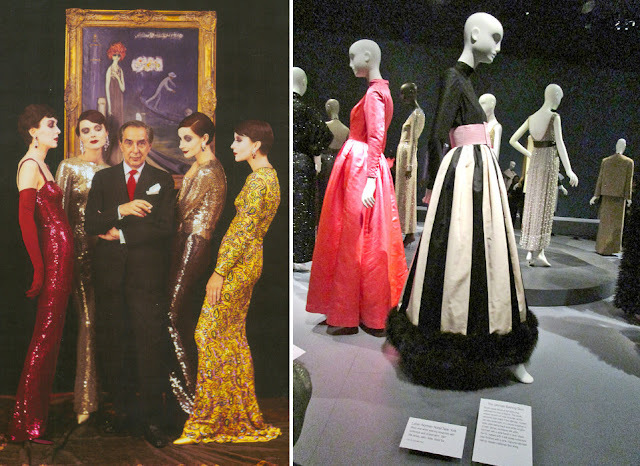 Norman Norell with his “mermaids” and haute ready-to-wear. FIT Museum display of Norman Norell’s excellence. Museum display of Norman Norell’s virtuosity. 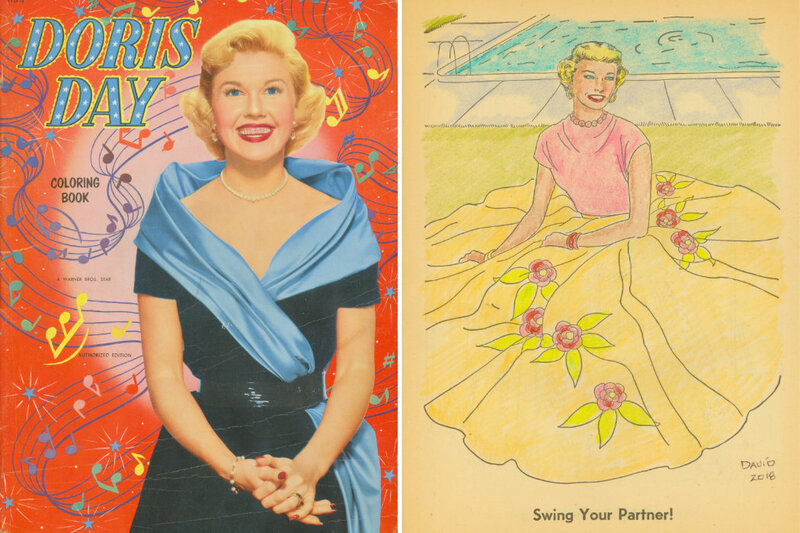 Doris Day Coloring Book plus a page colored by me. Celebrity lifestyle as pictured in 1952. Dressed-up with a hat and gloves on a plane! Hoping to see you at this year’s Paper Doll Convention, July 4-8, 2018, in Seattle, WA. 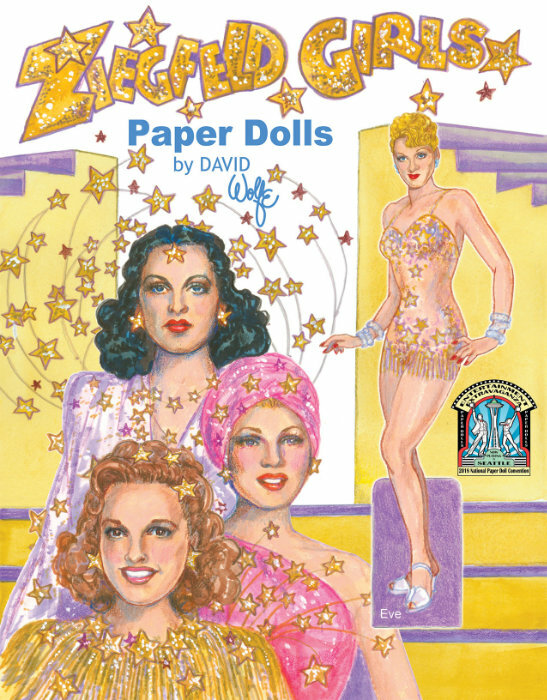 Here’s a sneak peek of the souvenir book I’ve created, just one of lots of limited edition paper dolls from many talented artists for attendees. Even if you can’t attend, remember to order the Absentee Package and add rare treasures to your collection. Just one of the many souvenirs planned for the 2018 Seattle Paper Doll Convention! 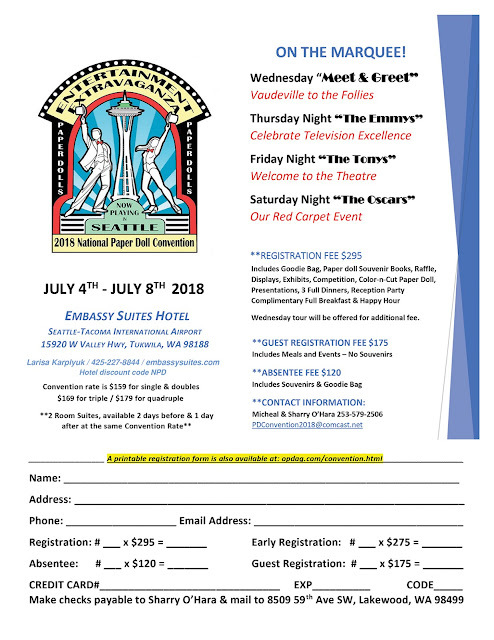 Order your Absentee Registration soon! Join us in Seattle for the 2018 Paper Doll Convention!